What does a dysgraphia diagnosis mean? This is a story about a dysgraphia diagnosis. Josh struggles in school because writing is so hard for him. Even though he tries writing until his hand hurts, he can’t ever seem to form the letters correctly or put his thoughts on paper. He has trouble copying from the board and he can’t take legible notes. He has trouble writing down his homework assignments which frustrates his parents because they can’t help him with his homework. They can’t decipher what he writes. His teachers ask him to rewrite his papers because they can’t read them. His spelling is abysmal and his grammar, punctuation and capitalization are just as poor. Josh even struggles in math class because his numbers get mixed up. One column of numbers somehow ends up in the other column and his fours look like nines and his sixes never seemed to be closed so they are misinterpreted as ones. But Josh is smart. So what’s going on here? Josh needs a dysgraphia diagnosis which is a learning disability that makes writing difficult. 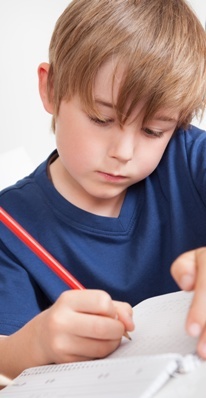 Children with dysgraphia can sit in front of a blank piece of paper for hours. If they are told that they can’t leave their room until they have written a legible well written paper, they’ll never leave their room. These kids often have wonderful and creative thoughts but can’t get them onto paper. They can tell you what they want to say but are unable to write it. For some, writing is such a slow and tedious process, that they don’t have the patience to sit still long enough to write. Other kids will write fast and furiously, skipping words, getting sentences and paragraphs in the wrong order, never capitalizing and spelling everything wrong. Often they can’t read their own handwriting. The end result is the same: poor grades and an aversion to writing. Often these children stop writing because, even if they can get the paper written, they’re terrified that their teacher or their parents will insist they revise and rewrite. Some children may also have actual physical problems with writing that are related to poor eye-hand coordination or lack of fine-motor skills. These children tend to avoid writing, even something as simple as their homework assignment. What are the symptoms of dysgraphia? A diagnosis of dysgraphia, a writing disorder, is not appropriate if the child does not have all the symptoms. Some children are simply poor spellers, some have poor motor skills and some simply haven’t learned punctuation and grammar yet. Because children can have different challenges with writing, you’ll want to pick and choose from the list below to help them improve and learn to enjoy writing. • Use a computer. Encourage your child to use a computer when at all possible—especially as they become proficient at keyboarding. • Set up short practice sessions. For young children, practice writing individual letters, words, sentences, or short paragraphs. Keep the sessions appropriate (in subject and in length) to your child’s age, maturity level and personality. For example, 5 to 10 minutes for 6 year olds because they are just learning how to write, 15 to 30 minutes for 7 – 10 year olds, 30 to 45 minutes for middle schoolers and and 60 minutes and more for high schoolers. Depending on their maturity level, personality and desire to write, more time is great. But for the struggling writer, more time may be counterproductive. • Help with spelling. During a writing session, if your child has trouble spelling, spell the words for her. If the primary goal is writing, stopping often to look up a word interferes with the creative process. Or encourage her to ignore spelling until the draft is written. Use the spell-check function of your computer’s word processing program. 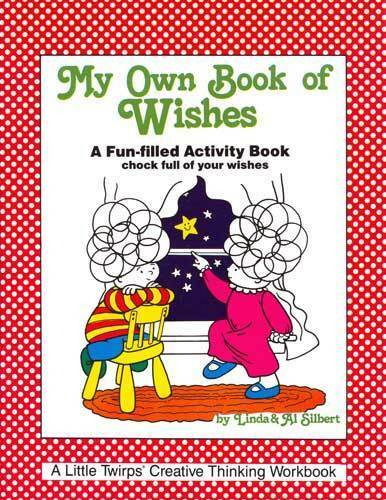 • Have your child tell you what he wants to write about. Then write his thoughts on paper. This can be in list form, on a web (main idea in the middle of a circle and thoughts are on spokes coming out of the circle), or outline form. Then decide together which ideas should be in the beginning of the paper, which should be in the middle and which should be at the end. Number the ideas and cross out the ones that do not belong. Then have your child write or type the final copy by writing one thought after the other. • Avoid making your child rewrite excessively. Forcing a child with a writing disorder is drudgery that often turns him off to writing. Dysgraphia can certainly affect children’s grades, test scores, and even their attitude toward school. If you suspect that your child may have dysgraphia or if your child has had a dysgraphia diagnosis, call us and we can help you understand what kinds of modifications that can be made at school that will make all the difference. My name is Janinne Medina 28, from New York City. My half-brother Justin is 18 years old and for years my mother and I have noticed he has severe problems with writing. During grade school he would get bad grades for incomplete writing assignments and his teachers complained that they could never read his work. After middle school he no longer felt comfortable in school. He was home schooled at 14, did well and was made to go back to public school at 16 because he was considered “too smart”. He eventually dropped out and is trying to take his GED but he is worried that having to write will hurt his chances at getting a good grade. Without a dysgraphia diagnosis he will not be able to use another method. I recently ran into your link on Google and noticed that the boy in your story sounds a lot like Justin. My family has never heard of dysgraphia before and he shows all of the signs listed. I am wondering if you can give us some advice on how to help Justin. He is extremely bright and excels in other areas but at his age it worries me that he is not living up to his potential. What do you think we should we do? Hello there! I’ve researched everything and it sounds like my son has dysgraphia- what changes would u make at school for him?? Can you suggest someone in the Chicago area to test my son for Dysgraphia? He is 11 yrs old and sounds just like Josh. I just got told today about Dysgraphia and it sounds like my son 12 who is in High School next year has it. 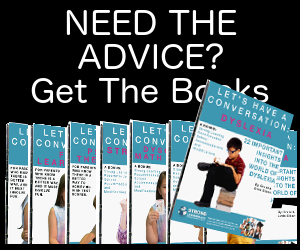 We have been told in the past that he has ADD, Dyslexia, Dyspraxia and difficulty with phonological awareness, working memory and long-term memory. Can it be possible to have all these things??? I feel like we have seen many people and keep getting a different answer whenever we go. 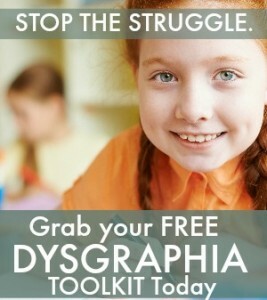 Can a child have Dysgraphia without having the first of the five symptoms. Daughter loves to draw and prints extremely neat but is slow and cautions to do so. ll the other symptoms fit her perfectly. WE live in South Africa. My boy of 8 (second grade) has difficulty writing sentences of his own. The creative side of thinking; writing a sentence (using a specific word and make a sentence of your own). He writes two sentences in the allocated time which is way below the norm. We are detecting a problem and need to start the process in helping him. Where and how do we start? Does My Child have Dysgraphia?